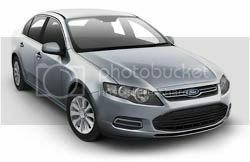 The facelifted FG MkII Ford Falcon replaced the 2008 FG model in December 2011 initially with cosmetic changes to update the model. 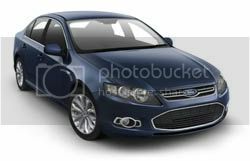 The model introduced a 4-cylinder engine to its range in 2012, the first on a Ford Falcon. During the lifetime of the model, Ford announced the close of the Ford Australia manufacturing facility in 2016 and the with that, the end of the Ford Falcon. 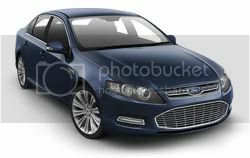 The FG MkII marked the end of the Ford Performance Vehicles range and the last Ford Falcon GT. The FG MkII Falcon was replaced by the facelifted FG X Falcon in November 2014. 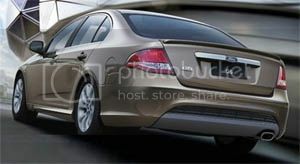 XT, 4.0L DOHC I6, Sedan, 195kW@6000rpm, 391Nm@3250rpm. $A37,235. 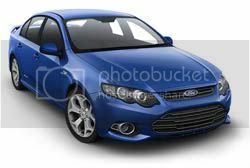 XR6 Turbo, 4.0L DOHC I6 Turbo, Sedan, 270kW@5250rpm, 533Nm@2000-4750rpm. $A46,235. G6, 4.0L DOHC I6, Sedan, 195kW, 391Nm. $A40,835. G6E, 4.0L DOHC I6, Sedan, 195kW, 391Nm. $A46,735. Ute, 4.0L DOHC I6, Chassis Cab/Style Side Utility, 195kW, 391Nm. $A27,590. 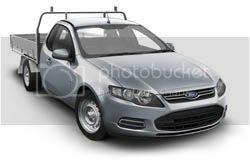 XR6, 4.0L DOHC I6, Chassis Cab/Style Side Utility, 195kW, 391Nm. $A34,890. XR6 EcoLPI, 4.0L DOHC I6 LPG, Chassis Cab/Style Side Utility, 198kW, 409Nm. $A38,390. 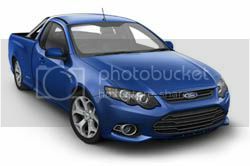 XR6 Turbo, 4.0L DOHC I6 Turbo, Style Side Utility, 270kW, 533Nm. $A39,190. 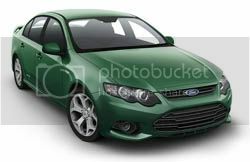 Ford Performance Vehicles FG Falcon range continued into FG MkII. Prices shown as at introduction. 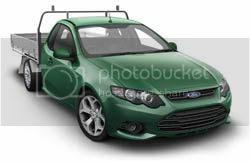 The FG MkII model marked the end of the FPV range and with it, the Falcon GT model. The finish was culminated with two limited edition models, the GT F (sedan) and Pursuit (utility). GT, 5.0L S/charged V8, Sedan, 335kW@5750rpm, 570Nm@2200-5500rpm. A$71,290. GT-P, 5.0L S/charged V8, Sedan, 335kW, 570Nm. A$81,540. GS, 5.0L S/charged V8, Utility, 315kW, 545Nm. A$51,990. The FG Falcon was used by teams running Fords in the International V8 Supercar championship in the 2009-2014 seasons. No visual differentiation was made at the time of the release of the FG MkII model between the FG and FG MkII V8 Supercars. Ford Performance Racing was the factory-Ford team present in the series. For the 2012-2014 V8 Supercars seasons, FPR were racing two FG Falcons, #5 Mark Winterbottom ('15 Pepsi Max), #6 Chaz Mostert ('15 Pepsi Max) and #55 David Reynolds ('15 The Bottle-O). Click to go to Ford Performance Racing.